Last week we endeavored to learn more about that quintessential Burger joint in Manhattan known as Black Iron Burger. 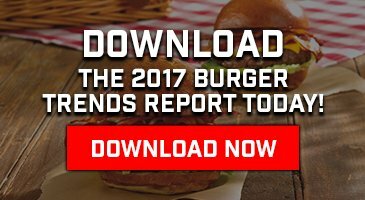 During our Cattle Call interview it became clear that Black Iron is a force to be reckoned with, creating unique Burger builds to satisfy every taste, even the ones you didn’t know you had. This week, the crew at Black Iron Burger let us under the grill hood to find out what makes their namesake Burger, the Black Iron, tick. 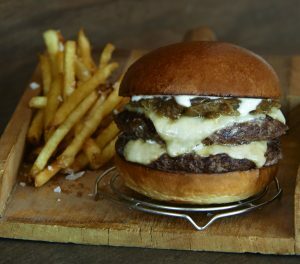 And coming off an impressive showing at the Food Network & Cooking Channel South Beach Wine & Food Festival Heineken Light Burger Bash presented by Schweid & Sons hosted by Rachael Ray as a finalist for The Very Best Burger Award, it tastes all the more delicious! 1. Saute your onions (sliced) in a skillet on low heat for at least thirty minutes or until soft. Add desired amount of stout halfway through cooking process to allow onions to absorb flavor. 2. Cook your Burgers to order (4-5 minutes per side on high heat for medium rare). Melt cheese on top of Burgers. 3. Stack Burgers atop bottom half of brioche bun, then top with onions. Spread horseradish mayo on bottom of top bun and place on top. Want More Black Iron Burger? Check out our recent interview with the whole Black Iron crew on The Cattle Call. Don’t forget to follow Black Iron Burger on social and visit their three locations in the East Village, Chelsea, and Midtown!